Like stars twinkling in the galaxy, embedded crystals on the handle add sparkle and shine to this server set. 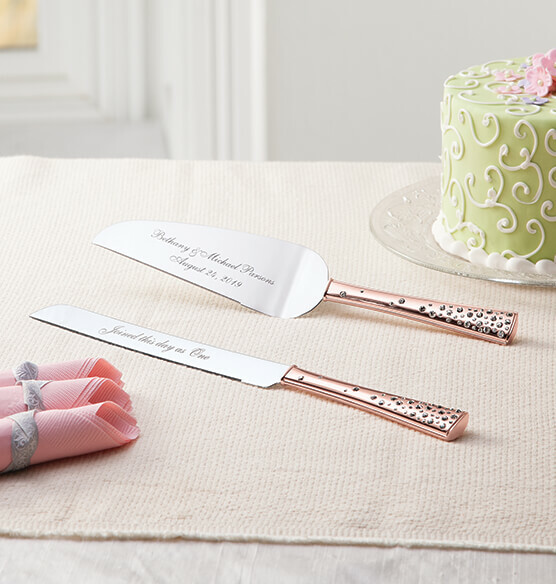 The glistening rose gold finish is both classic and of-the-moment, creating a beautiful way to celebrate the unforgettable moment they cut the cake. 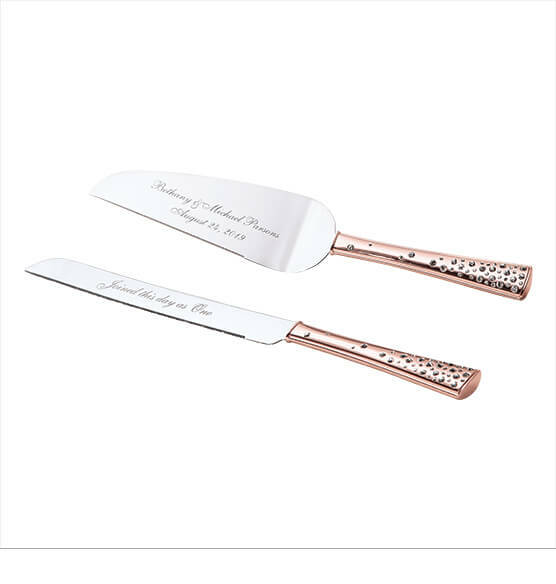 Complete the set with our matching toasting flutes. The server set comes in a satin-lined silver colored box, for a beautiful gift presentation as well as storage between uses.